Copacabana EOPM is provided for you and if you think it can be optimized such as adding the dynamics etc, welcome to provide us with the more perfect Copacabana EOP and EOPM! 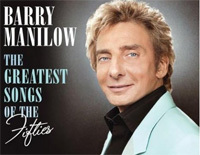 Copacabana is a song recorded by Barry Manilow. Written by Manilow,Jack Feldman and Bruce Sussman, it was released in 1978 as the third and final single from Manilow's fifth studio album,Even Now (1978).